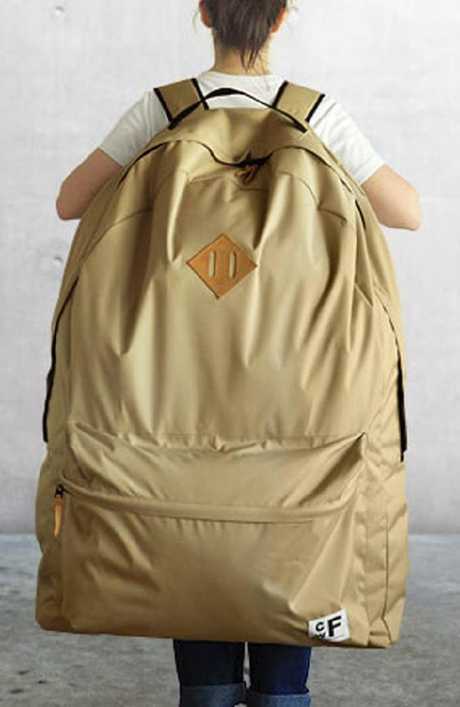 Terrifying in their size, the oversized bags – sold by Plywood in Japan – are 180 litres and 100cm tall. 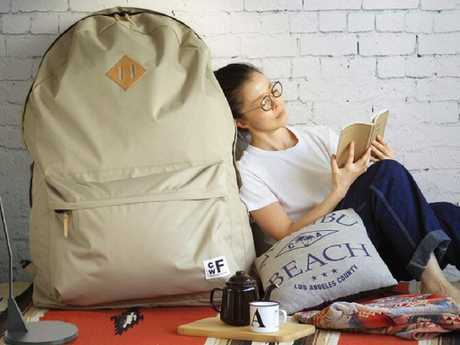 The enormous backpacks go from your shoulders right down to your ankles, and are wide enough to completely cover your body – handy if you’ve sat in anything unsavoury. But alas, crimes against fashion are costly. This trendy look will set you back a solid $A348 – and that’s not including shipping from Japan. 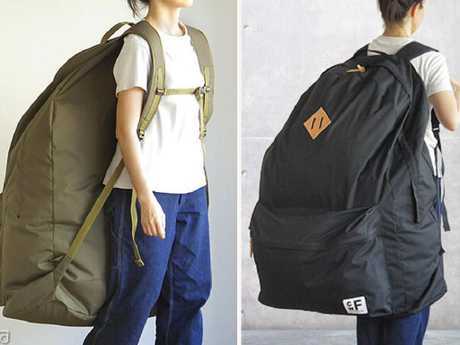 Also, if you have any back issues you may want to give this one a miss; with nothing in it, the bag weighs 1.6kg, a measure that’s likely to skyrocket once the bag is stuffed full of your possessions – although it does feature a third middle strap to reduce back stress. Wondering why the hell anyone would buy this? Hold tight – they’ve actually sold out in Japan. According to the website, they’re soon to be restocked.